Divorced elder of a Detroit car family pulls some desperate punches on the wedding of her ex. The daughter of a famous GM designer (now dead) and the ex-wife of a car dealer, Lydia Modine, at 61, has found her livelihood as a social historian of the automobile, with four books to her name. But on the wedding day of her ex, Cy, to a woman half his age, and with her three grown children traipsing off blithely to the affair without her, Lydia feels abandoned and aims, without admitting it to herself, to get even. During research for her new book, which begins to focus on the early design team at GM and its role in “planned obsolescence,” she meets aging hippie academic and green activist Norm Crawford. Although their Internet courtship leads to a disastrous lunch (he’s hectoring, loud, and insulting), Lydia nonetheless fabricates around him a whole tale of romance and elopement that serves to alarm her scattered children into returning home and paying attention to her. It’s a bizarre ploy hinting at Alzheimer’s, and one complicated by bland Cy’s request that from time to time Lydia check his new wife’s eccentric elderly parents, M.J. and Casper. Having also worked in the car industry, they feed Lydia a shadowy theory of treachery about her father at GM. Second-novelist Shreve (The Obituary Writer, 2000) endows Lydia with a touching naiveté in the midst of frightening modern dating rituals, while her children, especially daughter Jessica, are well fleshed and real. Lydia’s true love, however, is the absent father, and Shreve devotes a good deal of time to him and his historic design work. In the end, Detroit is the main character here, Lydia its defender, and her bringing her family together a way of preserving the status quo amid troubling modern changes. 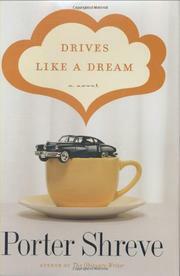 Clever and biting fiction that also serves as an amiable account of the Detroit car industry.